​Don't worry though, there are still some supplements that can help you lose weight which we will talk about later but just keep that in the back of your mind for now. Why don't most leptin supplements work? They almost always target the wrong imbalance. By the time leptin levels are at an all-time high, your body has sustained many major hormone imbalances along the way. What is Leptin Resistance and why is it so hard to treat? We are going to talk about what supplements you should consider taking, but first, we need to have a little discussion about Leptin. 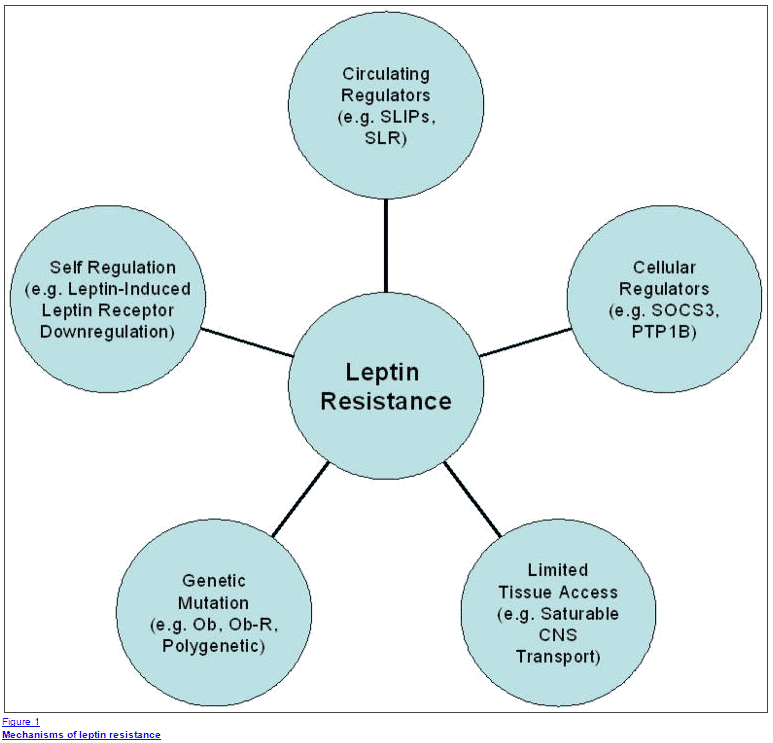 What is leptin resistance and why is it causing so many problems in your body? ​Leptin is probably one of the most important hormones in regulating your weight and metabolism. It is a hormone secreted from your fat cells that regulate appetite and energy expenditure (1) in your hypothalamus. It tells your brain when to eat, how many calories to burn and sets your body weight like the time on a clock. While scientists know that leptin is critical in controlling weight and important for weight loss, no one really knows how to treat it (2). It's a huge target for pharmaceutical companies and supplement companies, but most medications and supplements have fallen short (except a few). Most providers (Doctors, nutritionists, health coaches, etc.) don't frequently check for leptin levels! This puts patients with leptin resistance in a hard spot. Most of them are left to do their own research trying whatever they can to lower their leptin levels. Worse, some patients don't even know they have leptin resistance because they haven't even checked their leptin levels. ​The other thing worth pointing out is that Leptin resistance is a serious problem. After treating hundreds of weight loss resistant patients I can say that if you don't focus on lowering your leptin levels it will be very difficult if not impossible to lose weight. It is just that important. ​Whenever I treat a patient with leptin levels > 10 and their primary goal is weight loss, then leptin becomes my top priority. Weight loss is not about counting calories or increasing the amount of energy you burn. Losing weight is about fixing any hormone imbalances that exist in your body. Because these hormones dictate where energy goes into your body and how much energy your body will burn. One of the biggest mistakes you can make as a patient trying to lose weight is to reduce your calories and exercise more. This is exactly what INCREASES leptin (3) levels in your body. One of the causes of weight gain after rapid weight loss is through these elevated leptin levels. The recurrent weight loss, weight gain, yo-yo dieting that many patients go through causes leptin resistance in the first place. So how do you approach weight loss if you don't focus on calories? It's worth pointing out that generally, high leptin levels occur in the later stages of hormone imbalance. That means most people with leptin resistance will ALSO have high levels of fasting insulin and high levels of reverse T3 (and/or low levels of free T3). By the time leptin levels become elevated the body is already in disarray, which means that treating the problem is more complex than just adding in a supplement or two. Talk to any hypothyroid patient or patient with insulin resistance and you will know just how difficult it can be to lose weight unless you address the root cause. In general, if you want to lose weight you need to address ALL of the hormone imbalances (not just leptin levels). This is the strategy that I've used successfully with many patients and it's the strategy I would recommend for you as well. ​The good news is that there are many options for treating both thyroid resistance and insulin resistance compared to supplements targeted at leptin levels. ​As I've mentioned previously there are really only a few supplements and nutrients that MIGHT help to lower leptin levels. ​As you can see this list isn't very long. Fortunately, you can ​actually help to reduce leptin levels by focusing on supplements that target other hormones (which we will go over below). But I want to focus on this for a second. Most of the leptin supplements out there don't even include these 2 nutrients. ​This is the ingredient list of a popular leptin supplement which doesn't include any of the studied supplements that may actually reduce leptin levels. 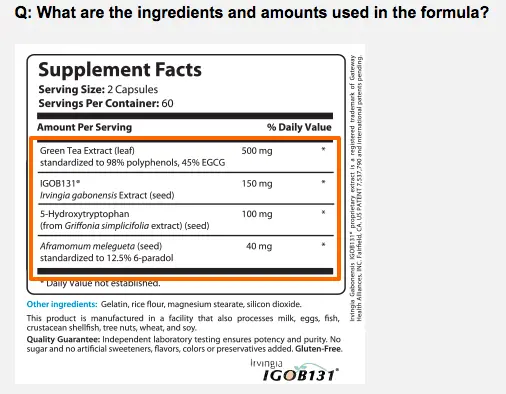 ​This may explain why many of these supplements simply don't work or have bad reviews. ​Instead of focusing on the supplements targeted towards leptin itself, it's better to focus on supplements targeted towards OTHER hormone imbalances. It has been shown that both insulin and leptin levels are involved in glucose homeostasis (7). ​This is great because it gives us an opportunity to treat and lower leptin levels indirectly by treating insulin levels. Do you see the benefit? ​There are also more opportunities than just insulin levels. Both a lack of sleep and high stress contribute to the development of leptin resistance and the inability to lose weight. ​So instead of taking a generic green tea supplement to promote weight loss, a better approach would be to focus on taking supplements that improve your sleep or reduce your cortisol (stress) levels. It's a change in the traditional model of taking both supplements and medications, but currently, there just aren't many great options for treating and lowering leptin levels. ​If you do decide to seek out a "leptin specific" supplement then make sure it has either/both zinc and glucosamine in some form. Oralvisc has been shown to help reduce leptin and other inflammatory cytokines (8) in patients with osteoarthritis (an inflammatory condition). ​The only catch is that this combination of glycosaminoglycans (GAG's) and hyaluronic acid may NOT work for everyone. Still, in a condition that can be as difficult to treat as leptin resistance, it may be worth a try. ​As a general rule focus on the other (more treatable imbalances) which I will outline below. Instead of trying to find the "one" supplement that will help you lose weight (it doesn't work like that by the way) focus on a combination of supplements that target a similar pathway. Using supplements like this can help with synergy and will improve your chances of fixing whatever it is you are trying to fix. Very rarely does taking 1 supplement EVER work for anyone (with few exceptions like b12 shots). Instead, I would recommend you find out what hormone imbalance you are dealing with and then target THAT pathway. Most patients know they have hormone imbalances like estrogen dominance, hypothyroidism or insulin resistance usually based on symptoms alone. Estrogen Dominance Urine: · Estrone, Estradiol, Estriol, 16-hydroxy Estrone, 4-hydroxy Estrone and 2-hydroxy Estrone Optimal levels highly variable, must be compared to Progesterone and in the setting of symptoms. Generally 2-OH Estrone should be preferred over other pathways. Progesterone Deficiency Blood: · Progesterone Urine: · Pregnanediol Check on day 19-22 of Menstrual cycle if menstruating. Progesterone levels should be higher than Estrogen levels during days 19-22 (see image below). Cortisol and Adrenal Fatigue Urine: · Cortisol and Cortisone x4 Salivary: · Cortisol x4 Blood: · AM Cortisol (Not very accurate) Range is dependent upon the person and is relative. If Cortisol levels are low = Late stage adrenal fatigue. If cortisol levels are high = Early stage adrenal fatigue. ​If you already know which medical conditions you have then just match them to the condition below. For the best possible results use 3+ supplements in each category, using just 1-2 supplements will likely not result in much change. If supplement do not help, then you will probably need to consider using medications. ​Considering that insulin and leptin resistance go hand-in-hand with one another this is a great first place to start. Insulin is the hormone sends signals to your body to grow your fat cells. Insulin resistance is the hormone imbalance that occurs when insulin levels remain chronically elevated which leads to resistance at the cellular level which in turn makes insulin levels increase. Insulin not only makes your fat cells grow but it is also damaging to other organs and tissues in your body mediating the majority of the damage of type II diabetes (9). These supplements are designed to reduce insulin levels and/or sensitize your body to insulin. In my experience treating with supplements alone will generally not reverse insulin resistance unless it is coupled with dietary changes and usually medications. Berberine - Helps lower blood sugar levels by sensitizing the body to insulin and by lowering inflammation (10). Doses as high as 2,000mg per day may be needed to see results. Chromium - Helps sensitize cells t﻿﻿o insulin (11). Consider using up to 1,000mcg per day. Alpha lipoic acid - May improve peripheral neuropathy and is helpful in lowering both blood glucose and leptin levels (12). Doses as high as 600mg per day in sustained release capsules tend to provide the best results. Myoinositol - This powerful sugar alcohol directly helps lower both insulin and leptin making it one of the few to do both. To get this benefit you will want to take at least 1,500mg daily for 6 months. Note: When it comes to insulin resistance I generally recommend using at least 3 supplements to help lower your levels. For an in-depth review on insulin resistance, you can find more in this post. Much like insulin, it's very rare that I see a patient with leptin resistance who doesn't also have thyroid resistance. T﻿﻿﻿hyroid resistance (also like leptin resistance) can be tough to diagnose and even tougher to treat. ​Thyroid resistance refers to a condition where blood levels of thyroid hormone may be "normal" but cellular levels of thyroid hormone are low as evidenced by low free T3 in the serum and/or high levels of reverse T3. Unfortunately, in the thyroid resistance the TSH may be inappropriate LOW which makes uneducated patients and providers falsely believe that thyroid function is too high. Instead, there is a deficiency at the cellular level and symptoms of hypothyroidism are still present. Studies have shown that as weight increases (13), leptin increases and thyroid ﻿hormone activity decreases (14). Because of the relationship between thyroid hormone and leptin levels, it is always critical to diagnose and treat any thyroid resistance. One of the best ways to do this is to increase the conversion of T4 to T3. Doing this will necessarily decrease the conversion of T4 to reverse T3. Fortunately, there are several nutrients which impact this conversion process and I will talk about those below. Zinc - Helps promote T4 to T3 conversion, also acts as an anti-inflammatory agent and an anti-oxidant. Many patients are also deficient without knowing it. Consider using 30-60mg per day. Selenium - Helps promote T4 to T3 conversion, may also help in reducing autoimmunity and inflammation in patients with Hashimoto's. Take 200-400mcg per day. Iron - Required for proper thyroid cellular function. Low symptoms mimic hypothyroidism. Iron must be in the "sweet" spot which means not too much and not too little, for more info see this post before supplementing. Note: Supplementing for thyroid function is complex and involves checking and evaluating multiple nutrients in the body. For more info on what factors alter thyroid function, thyroid hormone production and conversion please see this post. Cortisol is another hormone which has a nearly linear relationship with leptin. Studies show (15) that as cortisol increases the production AND secretion of leptin in fat cells both increase as well. This means that ignoring high cortisol levels will make losing weight and treating leptin resistance almost impossible. When most people hear the word high cortisol they immediately think adrenal fatigue. Adrenal fatigue is a vague term that is often used to describe the crushing fatigue that many patients feel when they are over stressed. What I am referring to here is NOT adrenal fatigue but the ​condition of hypercortisolism and I don't mean Cushing's syndrome. In this case, I am referring to hypercortisolism as a condition where cortisol levels are too high but not outside of the reference range. So when it comes to cortisol how high is too high? Your 8 am cortisol should be somewhere between the 14-16 range (assuming no issues with cellular receptor resistance). A cortisol level higher than 18, associated with a low free T3, a high reverse T3, and a high fasting serum leptin is very classic for these patients. Phosphatidylserine - In doses as high as 800mg taken each day has been shown to attenuate serum cortisol levels (16). May need to be taken in even higher doses depending on the degree of elevation of cortisol. Serum levels > 30 should be evaluated for adrenal Cushing's. Take at least 800mg per day if serum cortisol is > 18. Adrenal adaptogens - May help balance adrenal function and lower cortisol levels (17). Can also subjectively help improve energy levels and promote normal sleep patterns. Note: If supplementing for high cortisol levels use the combination of both phosphatidylserine and adrenal adaptogens for best results. Unfortunately, there aren't many proven supplements that can LOWER adrenal levels and even fewer medications. ​Pretty much everyone knows that sleep is important (mostly because they feel terrible if they don't get enough of it) but what you probably don't understand is just how important it can be. Lack of sleep is actually a huge reason that patients develop but also potentiate leptin resistance. It's so important to treat that if you do everything else listed above but avoid not getting enough sleep you will NOT clear your leptin resistance completely. It will act as a handicap and limit your weight loss. Lack of sleep has been shown to alter blood sugar homeostasis (18) and lead to weight gain (19), in fact, multiple studies have shown this, but how does it alter leptin levels? It turns out that lack of sleep directly alters cellular resistance to leptin levels. So it may not increase leptin levels but it certainly causes and potentiates it. In addition, the lack of sleep alters both leptin and ghrelin levels which cause an increase in appetite. Basically, your body is put into a situation where it believes that you don't have enough food available and it increases hormones to make you crave those foods. 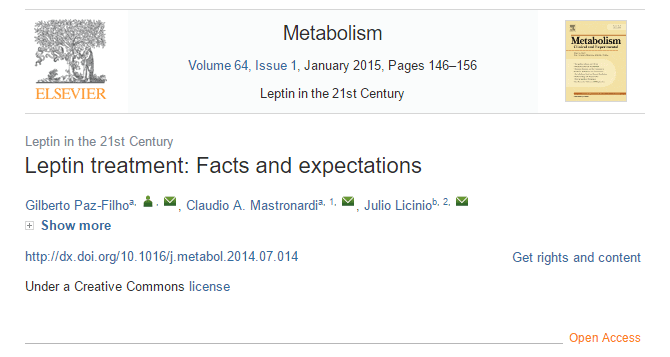 The increase in food eaten and the direct impact on leptin resistance lead to significant weight gain (20). ​This association between lack of sleep and weight gain is so important that I've included it in the list of treatment along with hormone imbalances like thyroid and insulin resistance. If you are serious about treating and reversing your leptin resistance then you need to make getting high-quality sleep a priority. That means getting at least 8 hours of uninterrupted ​sleep each and every night. ​Even if you "feel" like you can function on less, it still may be destroying your body from a metabolic standpoint and severely limiting your ability to lose weight. Fortunately, there are some supplements you can take to improve the depth and quality of your sleep but they may not work for every situation. Hormone imbalances (menopause and estrogen deficiency), bladder issues (urinary frequency/urgency/incontinence), neurological issues (restless leg) and mood disorders (anxiety/depression) can limit your ability to get restful sleep and therefore will limit your weight loss efforts. We aren't going to talk about the specific treatment of each of these, but even taking some of the supplements below can help break through the lack of sleep associated with some of the conditions above. 5 HTP: This is a gentle way to promote healthy sleep and is especially helpful if your lack of sleep is due to mood-related issues (anxiety/depression/etc.). Start with 100mg taken 30 minutes before bedtime but may need to increase up to 200mg per day. Melatonin: May help promote regular circadian rhythm and is especially helpful for people who travel to different time zones frequently or who have a disordered sleep schedule. Start with 1-3mg and increase dose as necessary. I have found that MANY patients are deficient in melatonin when I check them via urinary excretion. GABA + Serotonin potentiators: These supplements act by enhancing the effects of both serotonin and GABA neurotransmitters. Both of these supplements can help slow down the brain and induce delta wave production to help increase the depth of sleep, they work in tandem with melatonin as a powerful sleep aid. Use 1 capsule per night. Note: Start with the least aggressive options first and move to more aggressive supplements as necessary. Don't be scared to use these supplements if you are unable to get enough sleep in any other way. The benefits of 8 hours of sleep each night will be of huge benefit to your body metabolically and help with weight loss. Also, realize that this list is not comprehensive but should help you get started. What if you've tried supplements, changes in diet, added in exercise and still aren't losing weight or lowering your leptin levels? Because leptin resistance can be so difficult to treat I generally recommend that patients "layer" treatments on top of each other to enhance results. Generally the addition of multiple therapies as a multiplicative effect on leptin levels than an additive one. Meaning that the addition of medications and supplements will always be more powerful than just using one by itself. On my patients, I almost always use the combination of both, especially since I seem to see very leptin resistant patients. Luckily there are a few medications that can help lower leptin levels but will require an open minded Doctor to prescribe these medications on your behalf. It's also worth pointing out that many of these medications are considered "off label" for the treatment of leptin resistance. There really aren't any FDA approved medications to treat leptin resistance right now, but that may change in the future. Having said that there are studies showing that certain medications CAN help. GLP-1 agonists: These medications have been shown to both lower leptin levels, help with weight loss (21) and attenuate the rise in leptin levels associated with rapid weight loss. 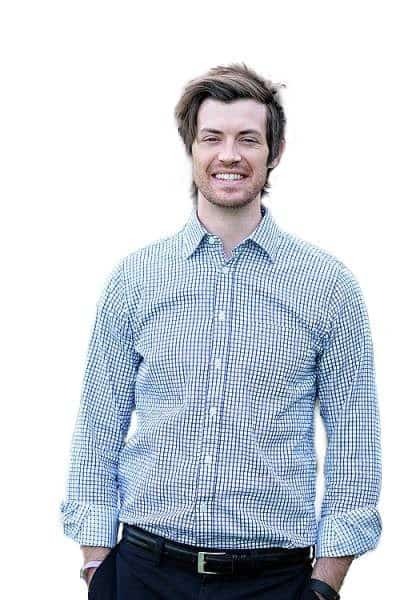 Testosterone (Bioidentical): The replacement of testosterone helps signi﻿﻿ficantly to lower leptin ﻿﻿levels (22) (leptin and testosterone have an inverse relationship). The lower your testosterone is the higher your leptin is. This provides an interesting opportunity for BOTH males and females to help lower leptin levels. This might also explain why men generally have profound weight loss when testosterone replacement therapy is started. Insulin-lowering medications: Only certain anti-diabetic medications help lower and reverse insulin resistance but the addition of these medications may help with weight loss and help to reverse insulin resistance as well (23). T3 thyroid hormone: The special use of T3 thyroid hormone can help lower reverse T3, help improve body temperature and therefore basal metabolic rate (24) and will help reduce the symptoms associated with leptin resistance (fatigue, weight gain, etc.). High doses may be needed depending on the level of cellular resistance. You can find more info on T3 here. Note: The addition of these medications will require a prescription and generally the help of a provider who understands and is willing to work with you. Many of these medications and doses are not well known and will, therefore, require some knowledge on your part. Supplements CAN have a profound impact on helping to lower and treat leptin resistance but they must be used in the correct way. The correct way is to target known and abnormal hormone imbalances and target supplements at those pathways. Trying to take a supplement targeting "leptin" is not likely to work and is more of a gimmick than anything else (at least right now). The combination and layering of multiple therapies provide the best results when treating leptin levels so consider using both supplements and medications for best results. At the end of the day just realize that treating and reversing leptin can be difficult but NOT impossible, it can be done and I've done it a number of times successfully so don't give up! Have you taken supplements for leptin resistance?